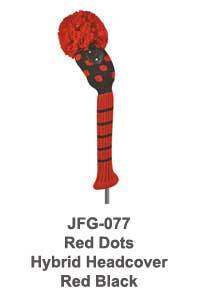 Red and black are the main colours of our Red Hots knit headcovers collection. 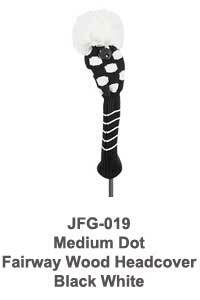 The driver headcovers are available in red with black dots or black with white dots. For your fairway woods we have red with black poka dots, black with white poka dots and a black/red/white diagonal stripe golf club headcover to choose from. The hybrid knit headcovers come in black with red poka dots, club shaft cover and pom pom or white headcover with black dots and pom pom. 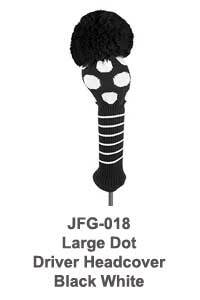 All our knit golf club headcovers have a co-ordinating oversized pompom. 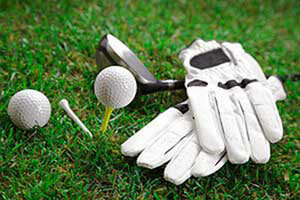 Wide, diagonal and mini striped knit headcovers to choose from. 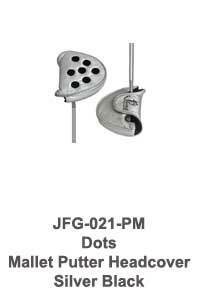 Choose from matching silver with black poka dot or red argyle patterned putter covers. 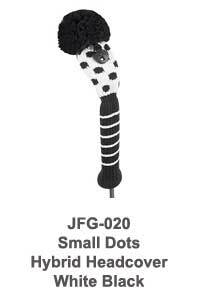 Red with black dots and pom pom and black with white dots and pom pom driver headcovers are included in this collection. 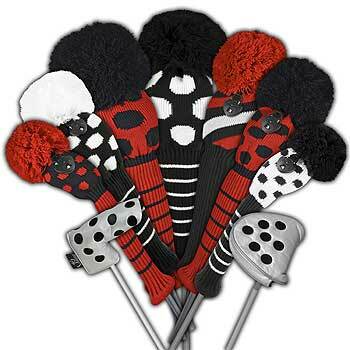 For the fairway woods in your golf bag choose from red with black dots and pom pom, black with white dots and pom pom or our diagonal stripe in red/black/white with red pom pom knit headcovers. 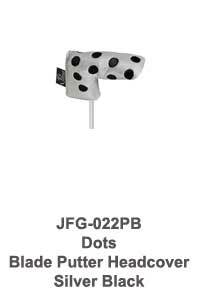 Hybrid headcovers come in black head with red dots, club shaft cover and pom pom or white with black dots, club shaft cover and pom pom. Matching silver blade and mallet putter headcovers with black dot pattern.